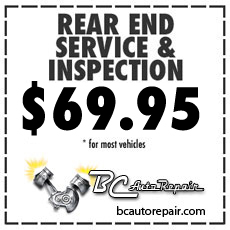 BC Auto Repair offers complete auto repair services to keep your vehicle running smoothly. Some of our services are listed below. Don't see the service you need? 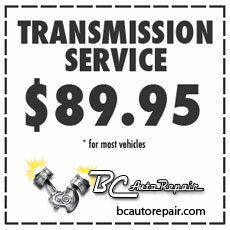 Contact us for more information on how we can service your vehicle. 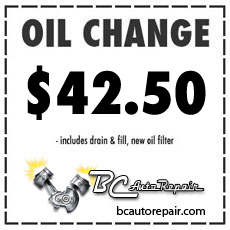 Oil Changes: Lube, oil, filter, grease front end, complete inspection. Tune-Ups: Cap, rotor, plugs, wires, air filter for 4, 6 & 8-cylinder vehicles. 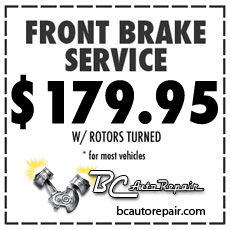 Brakes: Replace pads & shoes, turn drums, rotors, inspect hardware, check fluids. A/C & Heating: Check performance, recycle, flush, recharge and inspect hoses. Front Ends: Ball joints, a-arms, spindles, tie rod ends, pitman arms, idler arms and sway bars. Computer Diagnostics: Computer read out of electrical and mechanical performance. Engine Overhauls: Remove, inspect, transfer necessary parts. Complete overhaul services available. Differential Repair: Disassemble, re-setup, and replace parts as necessary.